How to make the most of your investment. So, your car has been to the shop, been repaired, made to look impeccably like new, and you finally have it home. If new paint was part of the repairs, automotive technicians were meticulous in ensuring that the new paint flawlessly matched what was previously there. 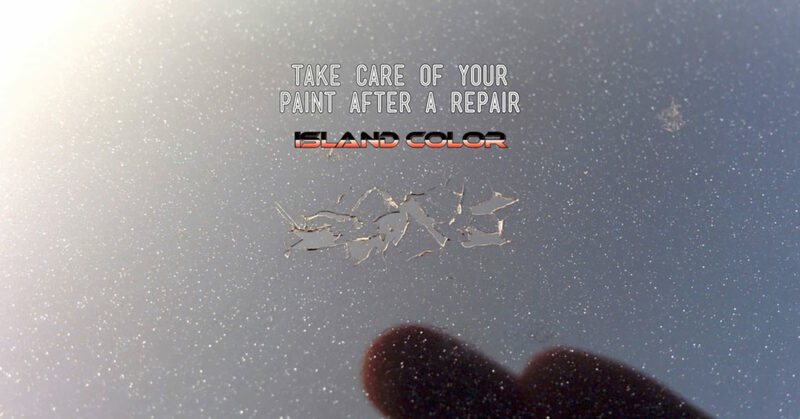 Paint is your vehicle’s first line of defense from elemental assault – including rust – so you are tasked with keeping it in good condition. This goes for any repair, but especially something as finnicky as paint. Say something as soon as possible if you notice anything isn’t right. New cars get to sit in protected environments for a long time before they make it to the open road. After a major repair, your car is back up and running immediately so it is important that you give it time to fully cure and harden. Two months may seem excessive, but it’s important that you give your paint some love and a little extra care for after a major repair. In particular, watch out for the following everyday things that can damage your paint. Avoiding dirt or gravel roads and construction zones as much as possible will do wonders for preserving your fresh paint. Gravel and dirt on the road is unavoidable, but it’s important to do everything reasonable to protect your vehicle from flying debris. Fortunately, this isn’t as much of an issue for us on the west (wet) coast. However, on those rare days when you do need to clear snow and ice from your car, make sure you are gentle. Keep in mind that you are only trying to remove the snow and ice, not the paint. Splattered bugs and bird droppings are gross and an obvious nuisance. Even worse than that, they are actually acidic and can seriously damage your paint. Take the time to clean off any dead bugs and bird residue that you find on your vehicle. Parking under a tree can leave your car more vulnerable to bird droppings and falling branches, but also can put your paint at risk from tree sap. Sap is relentlessly sticky and full of chemicals that will damage your car’s paint. If you can help it, it’s best not to park under that big shady tree. Ultraviolet rays from the sun will cause your vehicle’s paint to dull and fade. Obviously, it’s impossible to protect your car from UV rays while driving but finding a shady place to park will do wonders for your paint job in the long term. Sometimes it’s just better to do things by hand. Regularly cleaning and waxing your car is the most important step to preserving your paint but try not to be tempted by automatic commercial car washes. Hand wash with cool water, a mild soap, and soft sponge or cloth. Avoid chemicals and dish or laundry soap, and make sure the water you are using is clean. Drying your car with a towel or chamois will keep the paint shiny and healthy. If you think it’s time for a touch up, or have any questions on paint maintenance, just give us a shout.